The Busy Ball Drop from Earlyears is a 5-tier primary color busy ball drop with 3 spinning activity balls mesmerize. Colorful tower easily breaks down for on-the-go activities and can be built up in a snap. 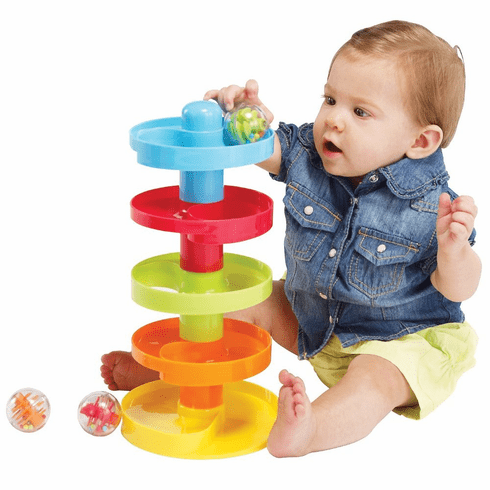 The heavy duty acrylic balls contain colorful shapes and beads that makes fun noises when rolled. Ideal for boys and girls encouraging repeated play. Package measures 11"L x 14.75"W x 11"H.